Is there a need to consider diversity and inclusion strategies in the faith community? Diversity and inclusion has increasingly become a focal point for businesses, educational institutions and service organizations. It represents the various combinations of human difference, e.g., learning styles, life experiences, race/ethnicity, gender, political, national origin and other factors. Inclusion describes the active, intentional on going engagement with diversity, i.e., employment, service, other systems. Regardless of the definition of faith community –denomination, church, synagogue, mosque or some other format or expression of faith – diversity and inclusion factors play a critical role. Organizations are made up of a diverse group of individuals from different cultural backgrounds, socioeconomic levels, educational levels, abilities, etc. The spiritual leader of the organization along with other leaders/workers and the individual members of the organization carry a set of conscious and unconscious biases, thoughts and feelings about others within the group and outside of the group. This can impact the organization as well as the life experiences of individuals within that faith community in a positive and or negative manner. About Rev. Deborah Burris, M. Div. Rev. 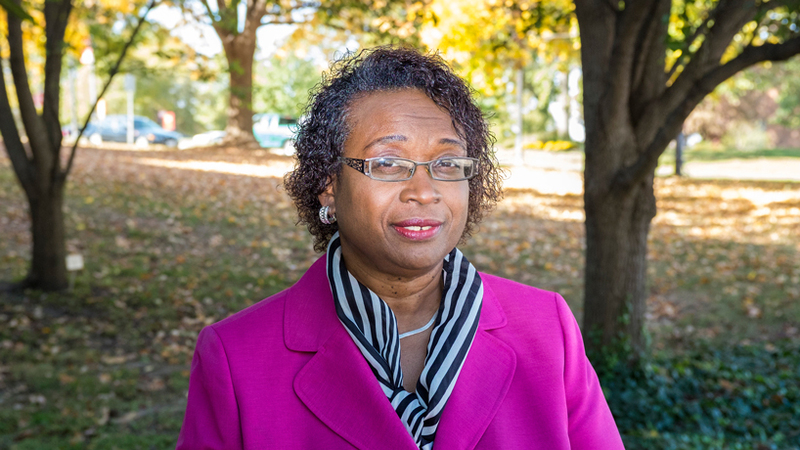 Deborah J. Burris earned her Master Divinity from Eden Seminary and is the Chief Diversity Officer at the University of Missouri – St. Louis.